Colombians are heading to the polls for the second time in less than a month — this time in a runoff to elect the country’s next president. This year’s is the first presidential contest since the 2016 peace accord was signed between the Colombian government and the Revolutionary Armed Forces of Colombia, the Marxist guerrilla known as FARC that had been at war with the government for more than half a century — a conflict left 220,000 dead and 7 million displaced. Sunday’s runoff was triggered after the country’s May election proved inconclusive — none of the six candidates running then managed to get the 50 percent plus one vote required to win outright. The two candidates on Sunday’s ballot are conservative Ivan Duque and left-wing candidate Gustavo Petro, who have campaigned on radically disparate platforms and propose very different approaches to the controversial peace deal signed with FARC. 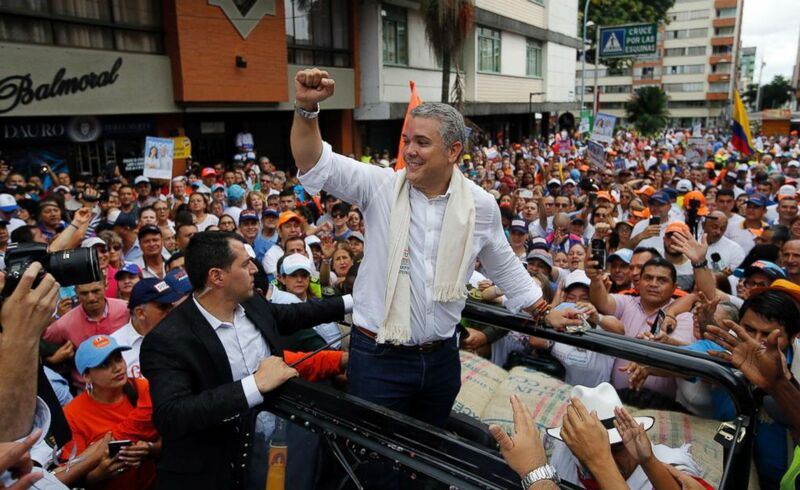 Back in May, Duque, an investor-friendly former senator who campaigned against the peace accord, took first place with 39 percent of the vote. Petro, a former guerrilla leader and recent mayor of the capital city Bogota, came in second with 25 percent of the vote. Petro and Duque represent the two extremes in a deeply polarized Colombia. On one side, there are those who back Duque because they want heavier policing, economic stability and secure private property. Duque opposes the FARC peace deal, saying it is too lenient on the former guerrilla members and campaigning to modify the clause that gives those members amnesty. On the other, there are the Petro-leaning voters who blame right-wing politicians for heavy-handed tactics and abuses of power, and who want more action to reduce economic and social inequality. 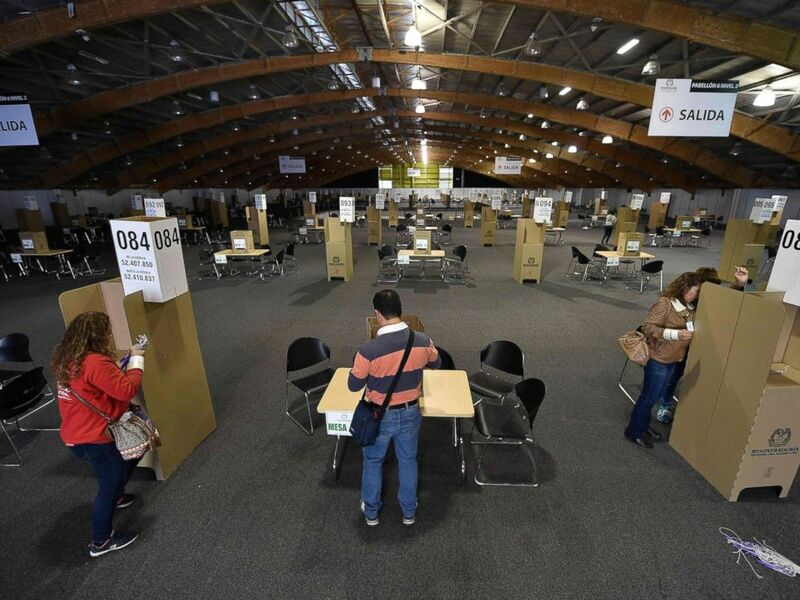 View of preparations at a polling station at the Corferias convention centre in Bogota, June 16, 2018, on the eve of the presidential run-off election. This is the first time a leftist candidate gets to the second round in a presidential election in Colombia — historically, many Colombians have been wary of left-leaning politicians who they’ve seen as friendly to the guerrilla groups with whom they spent 50 years at war. Topping that, the chaotic descent of neighboring country Venezuela under the socialist regimes of Hugo Chavez and Nicolas Maduro — which has triggered a refugee crisis spilling into Colombia — adds to the fears of a left-wing government, with Duque supporters accusing Petro of wanting to turn Colombia into Venezuela. More than 1 million Venezuelans have entered Colombia since the country fell deeper into economic crisis in 2017. Pedro denounced the Maduro government after the first round of the election, but his approach to the Venezuelan government is expected to be more lenient than Duque’s.